The Patient-Driven Payment Model is the most important wave to hit the nursing home industry in the past 30 years. Consulting companies have come out of the woodwork. Webinars on effective ICD-10 coding and proper MDS documentation are everywhere. The industry is mobilizing to ride this wave. It reminds me of my first ocean triathlon, when I thought things were going great as I swam back to shore. Then a large wave washed over me and drove me into the sand! If we can follow that analogy, many of us are in a boat where we are focused on documenting the complexity of patients will assure higher revenue. A focus on finding patients with the most “points” will lead to a more complex population of patients. The wave is the attention to detail – as it builds, it will crash down and crush many who have ignored it. The nursing home industry doesn’t know how to effectively take care of this complex patient population, and really has had little incentive to do so in the past. I just attended the annual meeting of the Society for Post Acute and Long Term Care Medicine (AMDA). We are the experts in both medical direction and delivering care to complex, frail older adults who live in the long term care continuum. In 2009, Rowland, et al, studied the impact of certified medical directors on nursing home quality and found an approximately 30 percent improvement in quality amongst facilities where medical directors had a CMD. Ten years later and the industry has essentially ignored this data. Pragmatically speaking, since reimbursement has been primarily about minutes of therapy, quality of care really hasn’t mattered much from a revenue perspective. I’m sorry to sound cynical, but this has been the financial reality of the industry. That is about to change. Big time! I am a geriatrician. I can look at a complex, frail older adult and know things that most other clinicians don’t know. MDS nurses and DON’s, as good as they are at what they do, do not have the expertise that geriatricians have in evaluating and caring for this very complicated patient population. If we’ve learned one thing from the readmission reduction debacle, it’s that just focusing on a number will not improve the delivery of care to frail older adults. You have to know which patient shouldn’t be readmitted! This has actually been our introduction to the wave that is about to hit the industry. Certified medical directors MUST become the focus of the long-term care industry. At this years annual meeting, the AMDA House of Delegates passed a resolution supporting the effective engagement of certified medical directors and denouncing the still common industry practice of hiring medical directors for the purpose of patient referrals. Those days are over, and PDPM will be an effective punishment for those who continue to follow this path. It’s time that the industry hires certified medical directors who are experts in being facility leaders. It’s time that the industry encourages geriatricians to deliver care in their facilities. Ironically, long-term care is the most financially rewarding care location for primary care physicians (though many don’t realize it). The industry will do well to develop effective systems to improve workflow for the clinicians practicing in their facilities, and bring resources to bear that helps them understand the value of working in long term care. I recently wrote about the importance of giving chief medical officers both authority and accountability. This will be even more critical under PDPM, as will be giving more authority and responsibility to facility medical directors. The days of having a medical director who sits idly in a QA meeting, signing orders, is over, unless facilities want to drown. Medical directors MUST be an active part of the facility leadership team, along with the administrator, director of nursing and director of staff development. Without effective teamwork and leadership, physicians practicing and staff working in facilities will not be documenting and care planning in a manner that will appropriately lead to effective quality care and protect the facility from costly audits and lawsuits. High quality clinical care is critical to keeping expenses from exploding far more than the revenue enhancements that everyone will be focused on. There is a workforce trained and ready to help the nursing home industry as it hits the PDPM wave. AMDA has 2000 certified medical directors that are presently underutilized. There are thousands of geriatricians already delivering care in nursing homes who are not appreciated. The first step is to engage the existing workforce, to embrace them and to develop systems to effectively utilize their expertise. The next step is to train the rest of the medical directors who welcome the opportunity to become certified and learn the ropes of being an effective and appreciated medical director. We also have a huge task ahead in relation to educating and training all clinicians practicing in the long term care continuum on the geriatrics approach to care. This can be done. The California AMDA chapter (CALTCM) will soon be submitting a CMP (Civil Monetary Penalty) grant that will propose a structure and system for implementing such training. PDPM doesn’t have to be a tsunami-like wave that destroys the nursing home industry. It can be a change agent that wakes up a sleeping giant, encourages immediate system and culture change, and leads not only to improvement in the quality of care delivered to the most vulnerable and frail members of our society, but at the same time brings financial success and opportunity to the nursing home industry. 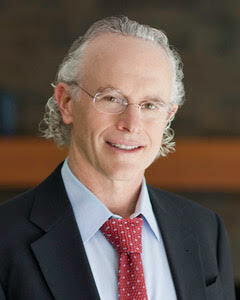 Michael Wasserman, M.D., is President of the California Association of Long Term Care Medicine (CALTCM). He recently served as CEO for Rockport Healthcare Services. Dr. Wasserman was formerly the Executive Director, Care Continuum, for HSAG, the QIN-QIO in California. He is a fellowship trained geriatrician and certified medical director.